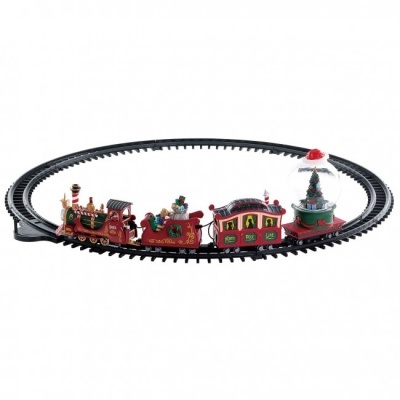 Lemax North Pole Railway (Complete Set) offers a delightful animated and musical Christmas themed train set as an addition to your miniature village display. Scaled and themed to compliment a Lemax miniature village, the North Pole Railway is a ready-to-run complete train set for adding movement and sound to your Christmas scene. The train set and carriages offer Christmas cheer for your Lemax scene, and there is even a giant Christmas snowglobe with revolving Christmas tree in the rear. 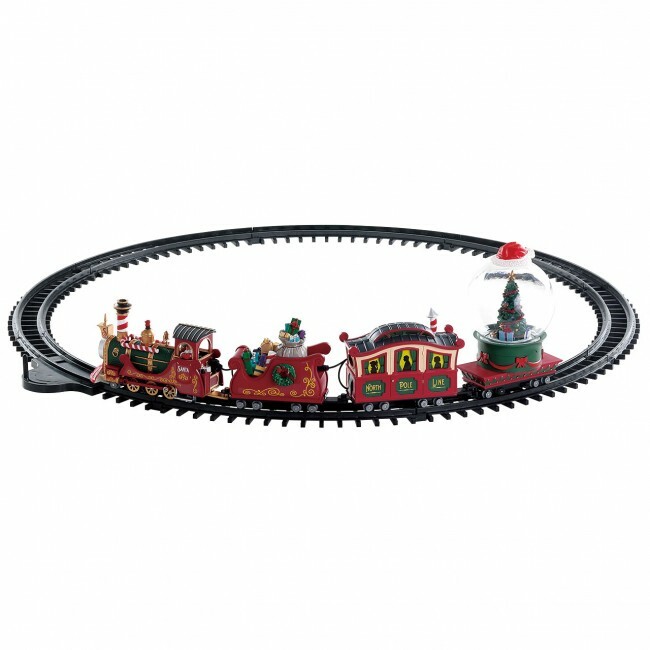 The North Pole Railway joined the Lemax Santa's Wonderland range in 2018 and is battery operated, allowing this set to have placement in any choice of location indoors.